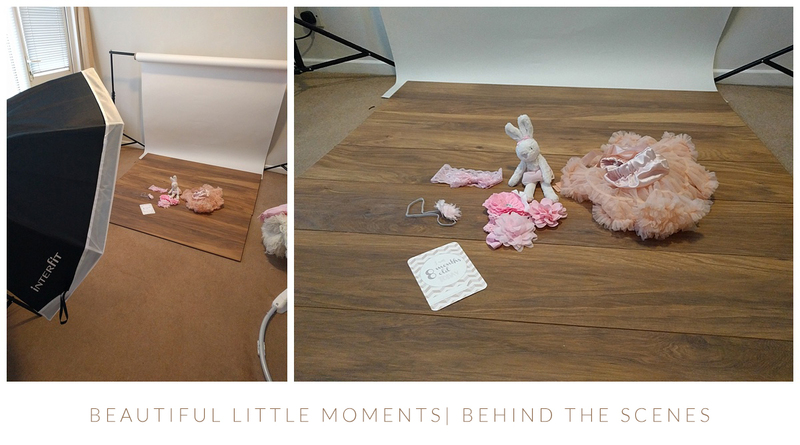 I thought I’d show you what goes on behind the scenes at Beautiful Little Moments. For all my styled studio session I plan out the set long before the shoot. 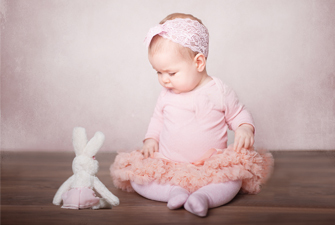 If frilly tutus and pink bows are needed then I source them, but I do need time to find and order accessories, which it why I ask for 6 weeks advanced booking for any session where you need items I might not have readily available. I do have several tutus and headband, nappy covers and bowties and you can check these our here. Here’s the before and after. The image on the left is the unedited image that I took in my home studio. The image on the right is the finished image after some post production work. Below is a picture I took of the rabbit on its own. 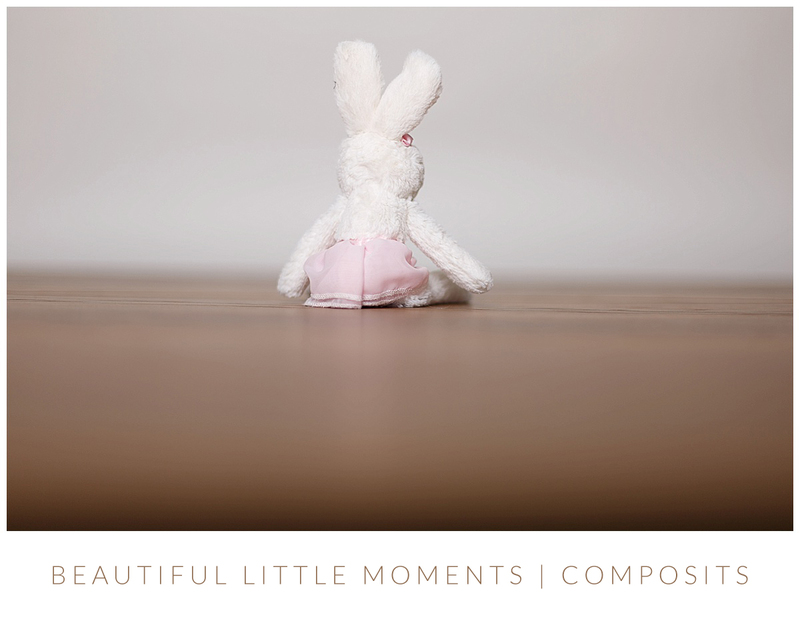 I had a feeling I might need some pictures of the rabbit alone. After all, how many 8-month-olds can resist picking up a bunny, try eating it and throw it around 🙂 You may be wondering how I knew she would be looking in that exact direction. Well I didn’t, I took many of the rabbit facing a variety of angles knowing that I would be able to capture her looking down and I could edit in whichever bunny worked when she did. This is my space at home where I take all of our photos. This was my set up pre-planned. I always have an idea what I want to capture before the shoot. An image in mind…. Here are some of the other photos from the shoot. The older she gets the less time it takes her to demolish the milestone cards during the shoot. I love capturing what she does with them as it shows how she has developed each month and captures her in that moment doing that thing she does just now, that is new. 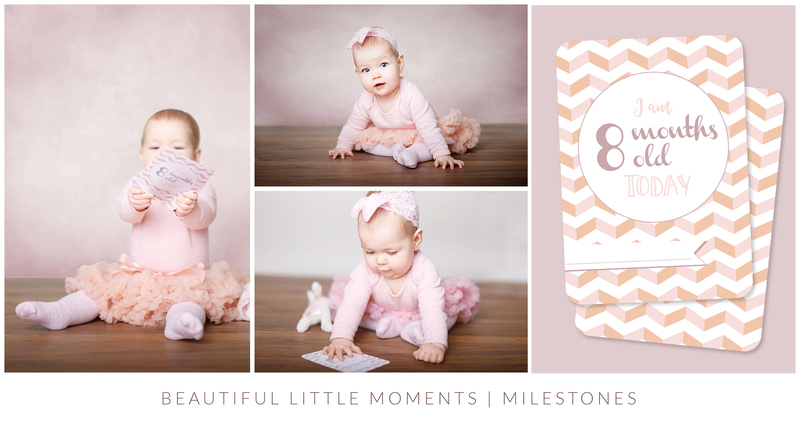 If you’re interested in buying a pack of milestone cards they’re available in pinks, blues and neutrals.